VERO BEACH – The Indian River County Sheriff’s Office served a search warrant in the 8400 block of 59th Avenue in Vero Beach after a four-month narcotics investigation. 20 foot lawn trailer containing lawn equipment all which is believed to be stolen. According to the Indian River County Sheriff’s Office, the estimated street value of the seized narcotics is $15,000.00. The investigation continues into the stolen items. 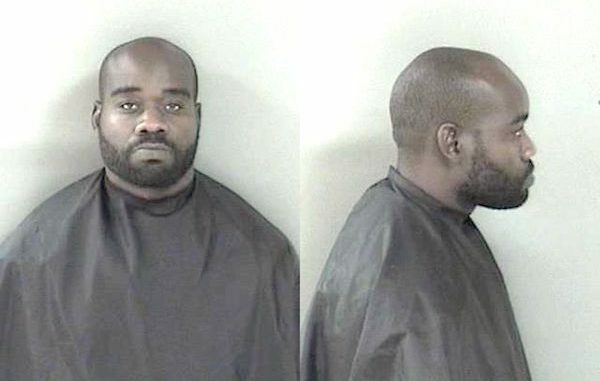 Terence Lee, 31, was arrested as a result of the investigation at his Vero Beach home. Lee is charged with and charged with three counts of sale of cocaine within 1,000 feet of a church, four counts of possession of cocaine, trafficking in cocaine, trafficking in hydromorphone, trafficking in oxycodone, possession of less than 20 grams of marijuana, and possession of drug paraphernalia. “Our detectives did an outstanding job investigating this case and putting Terence Lee behind bars where he belongs. Mr. Lee had his hands in illegal narcotics, counterfeit money, and stolen goods. We are confident that we will close some theft and burglary cases as a result of this investigation,” Indian River County Sheriff Deryl Loar stated. Lee is being held at the Indian River County Jail on $386,000.00 bond. If you have any information about this case or any other open investigations, please contact Treasure Coast Crime Stoppers at 1-800-273-TIPS (8477). You may be eligible for a reward of up to $1,000.00 and can remain anonymous.